Entrance: Parking lot at restaurant “Duinoord” at the end of Jan Verfailleweg (N502). 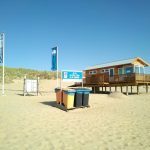 The beach at Duinoord is the best equipped beach in Den Helder, with ample parking in the area, a Beach Club and a guarded beach post during the summer season. Close to the beach are beautiful natural parks such as “Donkere Duinen” and “Mariëndal”. Duinoord has a beautiful wide beach and is much visited in the summer by tourists and the inhabitants of Den Helder. This beach is awarded with a Blue Flag. Beach Club Citadel. Toilets and shower are located at the new Beach Station of the SSN. Lifeguards on station during the summer season. Unguarded bicycle parking. Landscaped recreation forest dating from 1917, with walking trails and a pond. 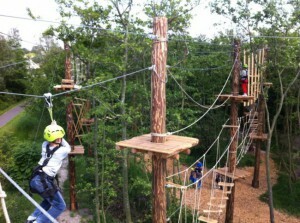 “Donkere Duinen” can be found directly next to the parking lot at Duinoord. 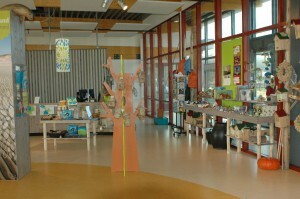 For more information see http://denhelder-donkereduinen.nl. In the 70’s a nature and recreation area for Den Helder was created. In this area you will find a watchtower, climbing valley, walking and biking trails and fields for sunbathing and playing next to the ponds. A little further on there is a large dune lake with a bird watching point, where many pasture and water birds can be seen. At Mariëndal a bicycle and canoe route starts, that runs through the area down to Julianadorp. At the end of Jan Verfailleweg, near the exit to restaurant Duinoord, there is a large free car park. From the car park a wide paved path leads to the beach entrance. 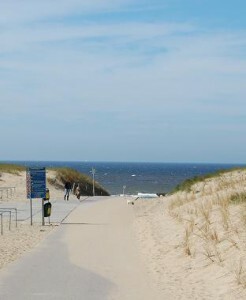 In the summer season the Kustbus bus service (851) runs from Den Helder railway station to this beach entrance. The bus stops at Restaurant Duinoord. From this bus stop it is a 5 minute walk to the beach. The access road to the beach is fully paved. There is a beach wheelchair for disabled available at the pavilion Citadel. Steak and barbecue restaurant / party house, terrace overlooking the forest. Located at Mariëndal, at the car park opposite the entrance of “Donkere Duinen”. 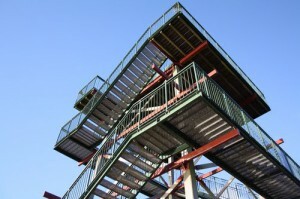 Located at the car park opposite the entrance to “Donkere Duinen”, with a watchtower behind the parking lot.